Knopf Books for Young Readers, 9780375858598, 40pp. Never was there a subway car who loved her job more than Jessie. From morning to night she carried all sorts of people all sorts of places—to work and school and World's Fairs, over bridges and through tunnels—sometimes she even took a pigeon along for the ride! But as time passed, sleek new silver cars began to take over the tracks, banishing Jessie to an abandoned lot. What will she do with no passengers to carry? And where will she go now that she's no longer welcome on the tracks? 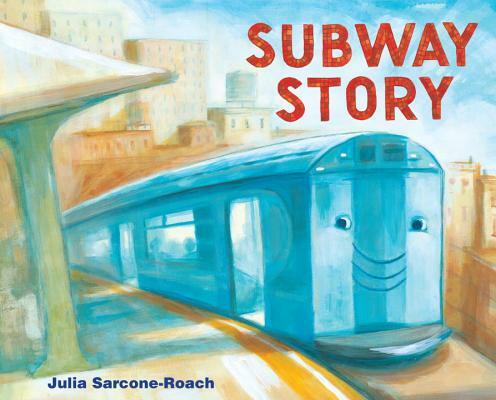 Based on the true story of 1960's-era subway cars that are now being used to create artificial reefs in the Atlantic, this stunningly illustrated second book from Julia Sarcone-Roach is sure to delight scuba diving historians and kids alike. After attending the Rhode Island School of Design, JULIA SARCONE-ROACH made her Knopf picture book debut with The Secret Plan. She is also the creator of animated videos, including Call of the Wild, which was featured in indie film festivals and won several prizes. Like Jessie, Julia is an avid traveler and has many adventures in mind for future picture books. "Sarcone-Roach displays a discipline not always seen in books about the environment; she allows her theme of reuse and recycling to emerge naturally from a fine story and lets readers draw their own conclusions without adding a heavy-handed one of her own." "A lovely tribute to the city and its boroughs." "With sprawling landscapes and vast underground tunnels as a backdrop, readers will cheer Jessie's story of revival. Immensely readable and surprisingly touching, this large heft of metal totes a lot of charm."